Old Vegas Slots is a free casino slots game with the CLASSIC Vegas feel. With simple three-reel slots, vintage machine designs and real casino odds, Old Vegas Slots brings the authentic Las Vegas experience right to your mobile device! 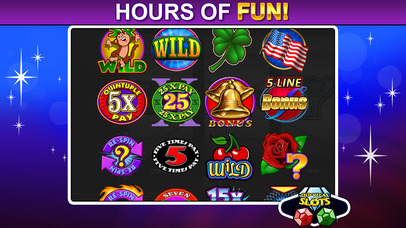 Enjoy all the great fun of spinning Classic Slots without going to the casino. Download Old Vegas Slots for free now and WIN BIG! — Realistic casino experience with authentic odds at jackpots! — Over 50 of the top slots on mobile, based on classic-style Vegas Slot Machines! — Compete in real-time tournaments against other players! 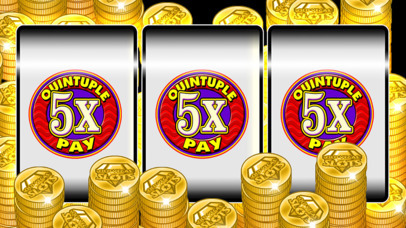 — Will you get lucky and hit the huge progressive jackpot? — Daily Bonuses! Get free credits every day! — Hourly Bonuses! Get FREE credits every hour! Fast-playing slot machines, classic slot designs and real casino odds: That’s Old Vegas Slots! Download it for free, begin spinning and win big now! Old Vegas Slots is a fun & free classic casino app for amusement only. No real money gambling takes place. * These slots are intended for an adult audience. * These slots do not offer «real money gambling» or an opportunity to win real money or prizes.